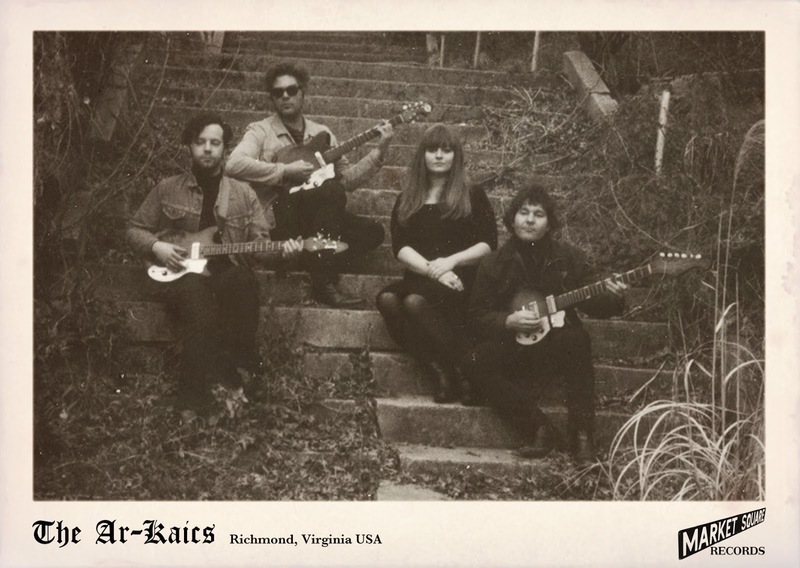 The Ar-kaics blasted into the world in 2013 releasing their debut 45 on Speakertree Records, since then the band has gathered momentum with continuous live shows across North America and a handful of really hip 45s on various labels and the release of their cool self-titled debut LP released on Windian in 2014. 2015 sees the label release the bands fifth 45rpm single 'Always The Same b/w Let Me In, which is also the seventh release on underground Sussex based label Market Square Records. The Virginia based quartet featuring Kevin Longendyke - Guitar & Vocals, Johnny Ward - Guitar & Vocals, Patty Conway - Drums & Tim Abondello - Bass, together have a great way of putting their frustrations and angst onto a 45rpm groove and on this Market Square release you can hear it. Top-Side 'Always The Same' kicks off with Patty Conway's primal drumming, her drum style has echoes of Miriam Linna about it, the group then launch into a three-chord tirade with Kevin singing frustratingly about the boredoms of love, typical in the 60s garage-punk fashion this track is a 'girl done bad' type punker, the guitar solo in the break recalls The Keggs and overall the track has a Cramps meets Troggs feel. The Flip 'Let Me In' sees The Ar-kaics enter more moodier climates, the track kicks in with reverb heavy guitars and in general has a real "bummed-out" feel to it, but this is where the genius lies, the track ebbs and flows for 4 minutes, yet the track is weirdly hypnotic, there is a real desperation in 'Let Me In'. As the track builds with throbbing bass and tremolo feedback, Kevin wails in utter sadness "....But You Won't Let Me In?" its confused and genius. 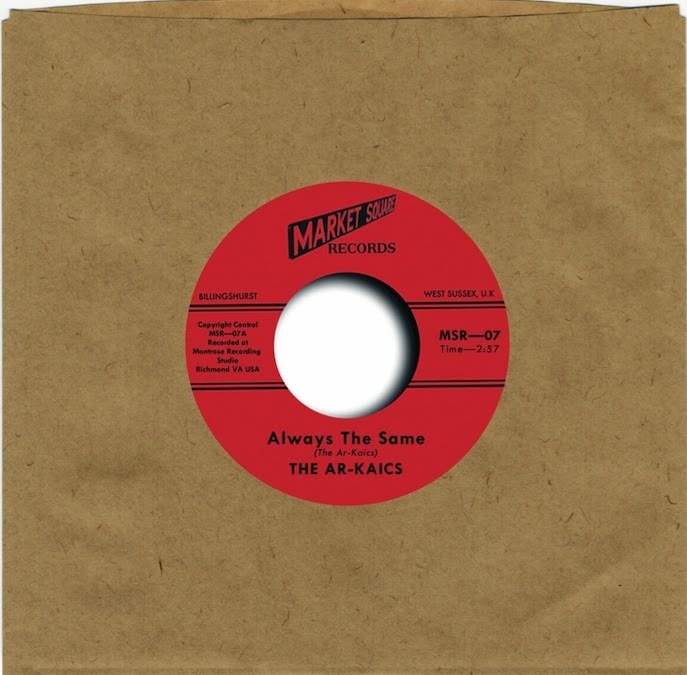 Market Square are proud and pleased to be releasing this 45 for The Ar-kaics, they're one of the few groups out there who are not sell-outs any genuine fans of rock n roll and punk rock, should invest in this 45 and also check out the bands other releases.